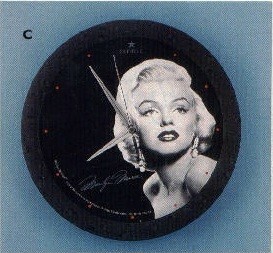 Possibly the most famous blonde of all time, the illustrious Marylin Monroe appears on the face of this collectible wall clock. Quartz movement. Uses one AA battery, not included.